Just driven past Wadebridge pitch, its completely covered in heavy snow. Can't see that shifting for 2moro's game. Could see a big gate at saltash if they get the game on, alot of games being called off and I bet alot of people would be keen to see saltash knock bodmin out of the cup . Fancy saltash to win that easy. Bet they will be down there early doing everything to get the game on. Same old Bodmin bashers- Bodmin haven’t been the team to beat for a couple years! Historic jealousy again!!! Get Smokie a coat !!! Back in the good old days of the Jewson South Western League you could always predict what the semi draw would be, City and Town would be kept apart, nothing to do with money of course. My prediction this season would be Town v Wendron played at Kellaway Parc and St Austell v Bodmin after beating Saltash played at Blaise Park. Is the draw being made live this season does anyone know. ☃️. Who else has took promotion apart from Parkway? St.Austell?? St.Blazey?? Tavistock?? 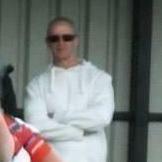 Not just Bodmin you tool ! Was very surprised to see Wendron roll Alan Carey's Porthleven with ease, a real David v Goliath fixture, well done to Wendron. Also St.Austell so comfortable at Wadebridge. Who else has took promotion apart from Parkway? Ok Dave, your the man to ask. How many different League winner's in the last 20 years has taken promotion to the Western League ? I'm only answering in connection to the SWL and SWPL, but technically only Parkway last season. When Buckland went up, they did so as runners-up in 2011-12. Before that probably Liskeard back in 1978-79! 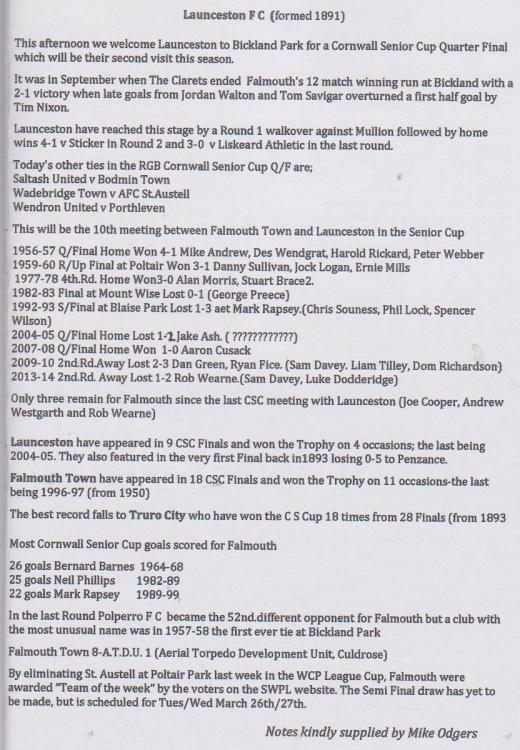 One could ask why all the Cornish clubs bought into the formation of the SWPL in the first place? When Buckland went up, they did so as runners-up in 2011-12. Entry into the FA Cup & Vase! Ah yes that old chestnut! It's a shame the clubs didn't say at the time that promotion wasn't a carrot, but only the FA competition entry ticket was! Mind you, I suspect there were a couple more places offered to the clubs back in 2007/08 for the FA Cup than there is now. Whereas in the FA Vase, the clubs have sometimes got to win a couple ties now before going further than their own league allies. Of course Bodmin are not the only club not to take promotion. It’s just harder to understand when they had such a big budget. 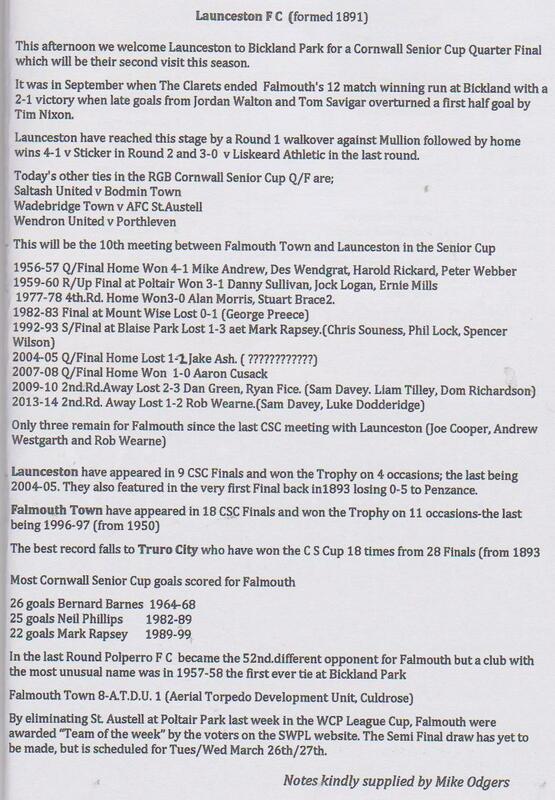 St Blazey in the SWPL era have never been in a position to take promotion. Next dig at Bodmin ...... ?? I thought this was about the senior up matches ,but it seems to be about going into a higher league who really gives a toss if the club takes promotion or not only team i can think of not taking promotion is Bodmin, so what they stayed down and done the right thing the travelling and expense in a higher league is really high look how far Parkway got to travel . About time this subject is cosed but i expect it will go on for the next 6 months .Have a nice week all you football followers . Well said. It's deflecting away from all the victorious Senior Cup winning teams from the weekend. Let's here some more about these results/fixture's. The taking/not taking promotion debate feels like the Cornish Soccer version of Brexit. Discussion/argument goes on for years, nobody is willing to see the other point of view and ultimately solves nothing. With the Parkway game being off, did Jordan Annear turn out for Falmouth? Mike Landricombe the Tiverton Town (Southern League Prem) defender played for the Clarets. The Wadebridge ground staff must have worked hard saturday morning to get their game on. Well done. But may have taken the step. Who gives a toss? Allow me to explain. Let’s say your a championship team, but you want to play in the premiership. Your good enough to play in the premiership, at least able to survive. You finish 5th. Above you are Man Utd, Liverpool, Arsenal, Man City. All refuse to take promotion. The same happens the following season....and so on. This is what has happened to clubs like Exmouth in swpl. Step 6 clubs who can’t get into step 5 because the pathway is blocked by bigger clubs with step 4 budgets. That isn’t fair. Hence restructure. Maybe the likes of Bodmin/St Austell genuinely couldn’t afford promotion. Maybe the Fa should do more to help then. 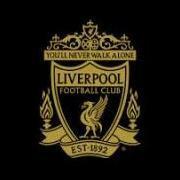 However the fact is many step 5 clubs operate with no playing budget. So maybe Cornwall has got its priorities wrong. The issue is complex but Bodmin spent years splashing the cash without moving the club forward. To dismiss the issue by saying ‘who gives a toss’ is wrong because other clubs are affected. I know of teams that have spent thousands & not won a pot to pee pee in. There are still clubs with big budgets in the Swpl West Division that will not win a thing this season, surely that is more embarrassing? This is a Senior Cup thread, let's get back to the football & put this to bed? Bodmin is not a popular club amongst its peers, that is accepted amongst most contributers on this forum, be they Bodmin supporters or otherwise. Nothing will change at the club as a result of opinions expressed on here, so maybe they should be left alone to ponder whether past achievements are worth the flack aimed at them as a result of not taking promotion. It's their money to do what they like with, ( you wouldn't run a successful business like it though ) if we don't like their approach to the way their finances are distributed, the best thing to do is make sure that the club you support doesn't go down the same road. 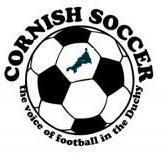 There are clubs other than Bodmin who would do well to update their facilities which are a permanant reminder of who they are and how their supporters wellbeing is important to them. At least assets are a valuable mostly permanant possession and don't dissappear overnight on a whim, or for more money. And what crucial equipment do you think Bodmin have fallen behind on the upkeep of ? I have no dislike of Bodmin at all. But. Their present fall from grace is attributable to lack of ambition for me. Continually winning the same things become monotonous to players, management and spectators alike. Add in the sideshow from the bench and players and spectators don't want to go there anymore. Every Bodmin game I have watched in recent years the referee and lino's are approached at half time and full time...too much for many participants in a simple game of entertainment. The quote made was as above. Am I right in saying that Priory Park is council owned? Perhaps this is why the ground and facilities have fallen behind, no incentive to improve what is not yours.Tavistock, St Austell and Callington are three clubs who's ground and facilities have steadily improved over the years, possibly as a result of them improving facilities that they own, or have a long lease of. Yes council owned,rent the last I heard was £5,000 per year. When asked about Bodmin’s failure to progress to higher level during the club’s glory period, Leeds likes to remind us that the club were only following the example of St Blazey, the previous dominant club. Well look at St Blazey now. Is that what he wants for his club? Playing in a step 7 village league?? Every club has a bad patch but if you only stand still when doing well, at some point you will go backwards. If I was a Bodmin fan, I would be angry at the lack of progression, not defending it. Bodmin would quite possibly struggled at step 5 because the travelling costs would have eaten into their playing budget. But at least they would have been playing at a higher level, as the second ranked club in Cornwall. They might even have attracted additional sponsorship. If they had gone up and then down again, at least they would have tried. If you are a club playing in the Championship there would have to be something seriously wrong if you didn't want to play in the best league in the world with money being thrown around. But that is one national geographical league to another. The SWPL to Western League and beyond involves more travelling for our little clubs stuck out on a limb. Maybe if Ireland could be pushed a little bit more to the south we would have an area to the north and west to aid us with being more central. Shift the Bristol and south Gloucestershire and Wiltshire teams into the Hellenic and bring in naturally western clubs from Somerset and Dorset to give the league a chance to actually represent the name it carries.